Mclaren's Ultimate Vision For A New Halo Hypercar! Home / Automotive / Cars / Mclaren's Ultimate Vision For A New Halo Hypercar! Audi released a concept for their Halo car, and now it seems McLaren also has a halo hypercar that is expected to launch early next decade. While we do not know if it'll be a hybrid or all-electric, there is no doubt that it will feature a host of cutting-edge technologies. 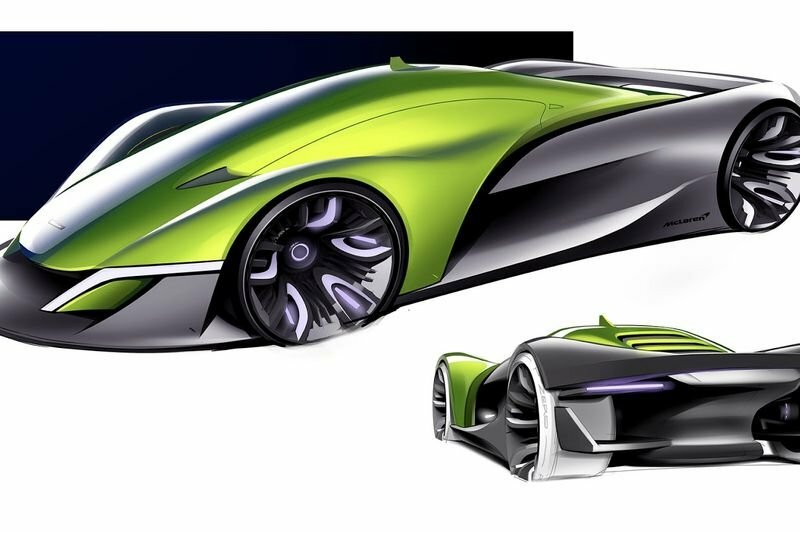 In an effort to give us a taste of what the car could look like, car designer Justin Hyungjung has created numerous renderings of a hypercar that takes design inspiration from modern McLarens and those of the past in a sleek package that certainly looks the part. The McLaren halo design also adopts thin LED headlights and taillights as well as a windshield that seamlessly flows down to the hood and through to the front bumper. Some inspiration has clearly been taken from the Aston Martin Valkyrie with a prominent wing between the wheel arches, two individual diffuser fins and huge openings to allow for underfloor aerodynamics and huge levels of downforce. The hypercar adopts a 3-seat interior layout and while the brand’s next hypercar may not look anything like this, it is intriguing to see one direction McLaren could go. This Is The Perfect Toy For The Tracks, Introducing The Mclaren P1 Gtr!